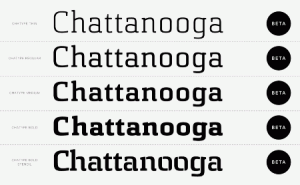 Excerpt from Can a Font Help a City Make a Comeback? Known in the 1960s as one of the country’s filthiest cities, Chattanooga has managed to clean up its act and its image in recent years, with a redeveloped riverfront and an artist relocation project. But the city’s “brand” is out of date and doesn’t live up to the creative energy on the ground, according to the team members. Take a moment to read the full article and tell me if you think a font can help a city rebrand itself. If New York City had it’s own font, what aspect of the city would the typeface design portray?